Syllabus of the Online Course (Subject)- Catholicism (Christianity): Ethics and Business. 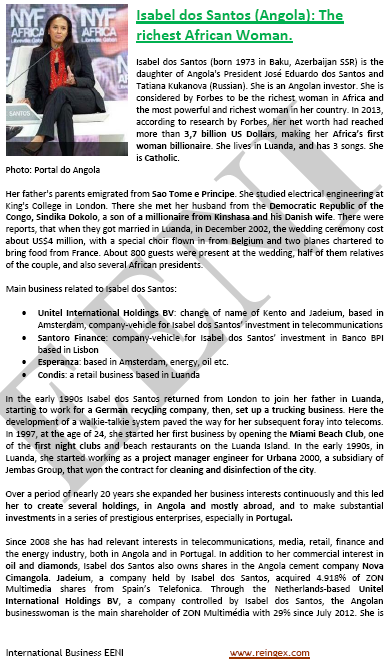 Catholics Business People. 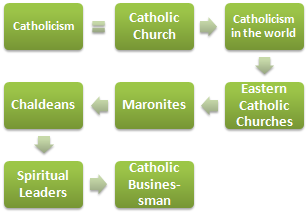 The purposes of the Online Course / Subject “Catholicism: Ethics and Business” are the following. Christianity is the most “globalised” religion (in Greek, Catholic means “universal”), with about 2,300 million followers worldwide, followed by Islam with 1,977 million, and Hinduism. Namely, one-third of humanity is Christian. About half of Christians are Catholics (1,200 million). 50% of all Christendom is Catholic, 37% Protestant, and 12% Orthodoxy. The other Christian traditions (Mormons, Jehovah's Witnesses) represent 1% of all Christendom. Roman Catholicism, based in Rome, is the majority in Central and Southern Europe, Ireland, and South America. From the organisational point of view, if there is anything that can define the Catholicism is the Catholic Church and the figure of Pope. Jesus came to the earth to show the way of salvation. Therefore, these teachings taught twenty centuries ago, should be available to future generations; this is possible through the Bible. However, it will be necessary to interpret the Bible. Moreover, the only entity that can interpret the teachings of the Bible is the Catholic Church. This concept of the Church as the sole interpretive authority is fundamental to the Catholicism. Derived from the principle of the Papal Infallibility, there is the dogma of the Papal Infallibility. The Pope of Rome as the successor of St. Peter, and the highest authority of the Catholicism, when pronounced in a public way on a topic related to faith or morals (“Solemn Pontifical definition”), God, through the Holy Spirit protects him from any error. In matters of faith, the Pope cannot be wrong. This “Papal definition” is not debatable. In any case, today, on very few occasions the Pope uses this privilege and is almost always done by a consensus. A Catholic must, therefore, accept this principle. The Catholic Church maintains the exclusivity of Jesus teachings and defines the way in which the Catholic must behave, the Church teaches to Catholic how he should live to follow the teachings of Jesus correctly. The Church, as God's earthly representative, is the institution that monopolises the teachings through the Sacraments. Catholic, Orthodoxy, and Copts share the same seven Sacraments. The main Catholic Sacrament is the Holy Eucharist, Mass. For a Catholic, Mass symbolically represents the reconstruction of the Last Supper of Christ, in which he offered bread and wine to his disciples. The current Pope of Rome, Francisco, is the Argentine Jorge Mario Bergoglio (Buenos Aires, 1936).